The heart of the Lake District is the town of San Carlos de Bariloche. 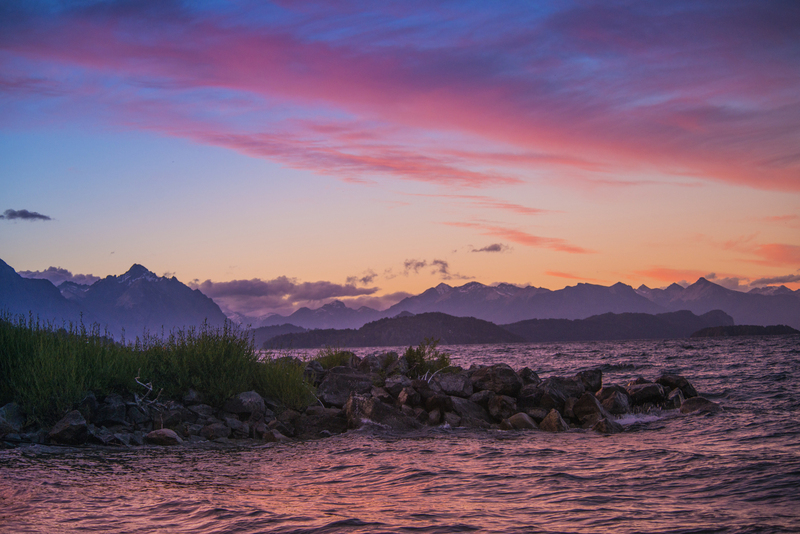 Located at the foot of the Andes, in winter it becomes a ski resort, and in summer attracts travellers looking for the sheer unspoilt beauty of the goliath Nahuel Huapi National Park. 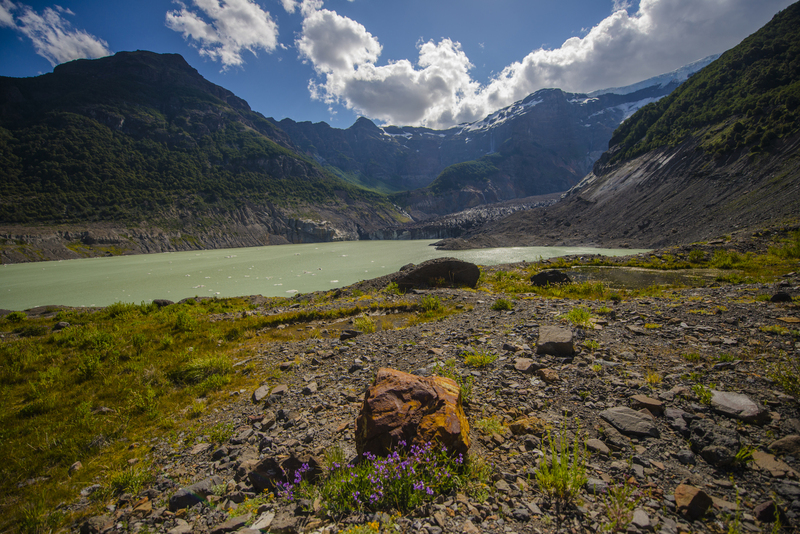 The main natural attraction of the park is the pond of the same name and its seven branches washing the mountains and the luxuriant Valdivia rainforest. 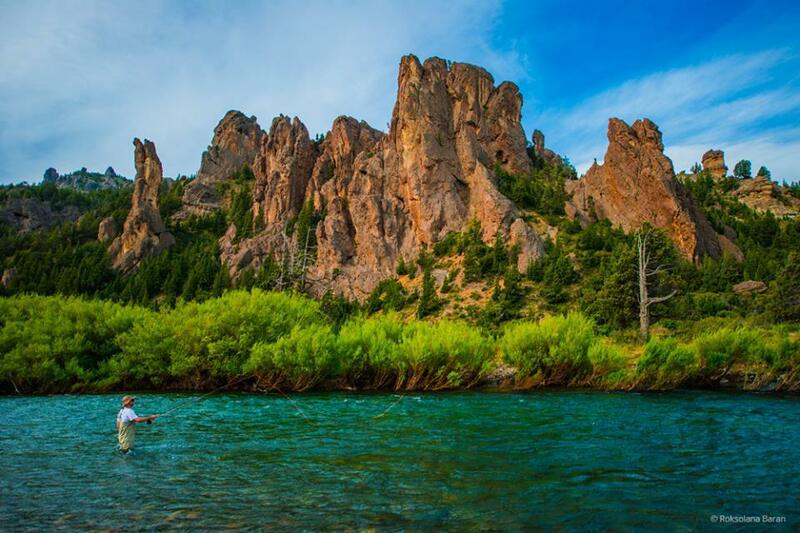 Once the land was inhabited by the Mapuche Indians, who called the place "an island of mountain lions". Today, the population of these wild cats decreased significantly and you are unlikely to meet them walking in the park. But it is rather possible to see a deer, a llama guanaco, a vulture or a hawk. On the west side of the National Park Nahuel Huapi there is the border between Argentina and Chile. The Tronador volcano is sandwiched at the junction of these two countries, which deserves special attention of travellers. In Spanish its name means "thunderer". The locals nicknamed it due to loud sounds of ice blocks and snow falling from a height of three thousand meters. The best picture-postcard views of the snow-capped Tronador peaks open from its glacier Ventiskuero Negre, which melts draining into a cold lake of bright turquoise colour. This district endowed with such unique beauty takes a breath away. Not far from this spot there is a small 40-meter high waterfall El Saltillo de la Nalkas, where among the dense thickets of greenery, listening to the sound of water and the cries of the birds, you feel full harmony with nature. The second main region point after Bariloche is the upmarket resort of Villa la Angostura. Picturesque streets beckon travellers with cosy cafes, shops selling chocolate and popular souvenirs made of wool, leather and silver. But most of all the city is famous for its suburbs. Villa la Angostura is the starting point of the famous Seven Lakes Route. 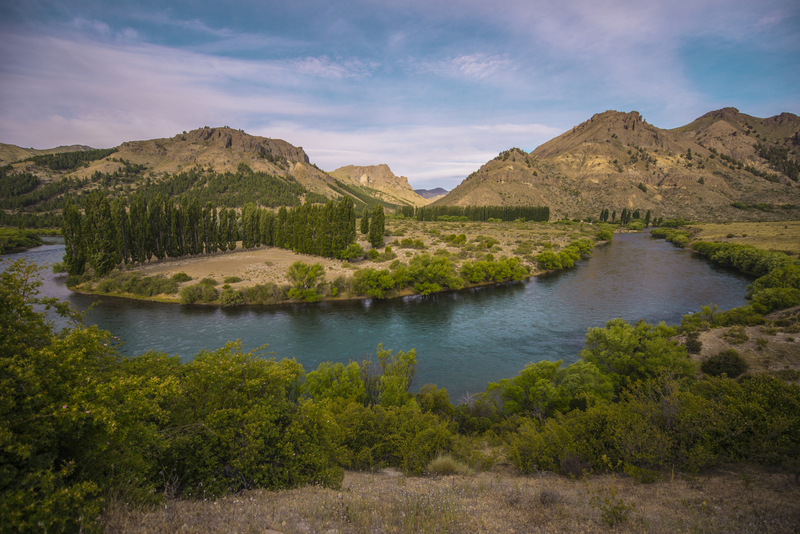 A hundred kilometres path passes through the National Parks Nahuel Huapi and Lanin, enthralling by stunningly pristine landscapes dotted with ponds of various sizes. Most memorable impressions come at dawn or sunset, spent en route, when sky glowing with bright colour strokes is reflected in the crystalline water surface. The ideal completion of outdoor adventures to this Argentina picture-perfect vistas will be a boat trip to the Blest port. The boat sails through several lakes gleaming in colours. Hues depends on the minerals contained in the water. Along the way you can visit the Victoria Island, buried in eternal verdure of cypress trees, eucalyptus trees, redwoods, laurels and other exotic plants. Eternal greenery is sparkled with pink flowers of wild rose bushes. The island is a haven to rare species of animals including an amazing Pudu - the smallest deer in the world. Leaving the Lake District do not forget to take a souvenir: a poncho knitted from llama wool, handmade silver jewellery or a box of local chocolates. Bariloche can be reached fastest by plane from Buenos Aires. A cheaper alternative is the bus. The journey takes about 20 hours, buses are usually very comfortable. The ticket price includes dinner, breakfast and some snacks. In order not to depend on urban transport, on arrival it is advisable to rent a car. Local buses operate regularly, but not often. Sampling local cuisine, you should definitely try the specialty dishes: a grilled lamb and a reindeer steak accompanied by a glass of red wine.